Description: To 14 cm long. 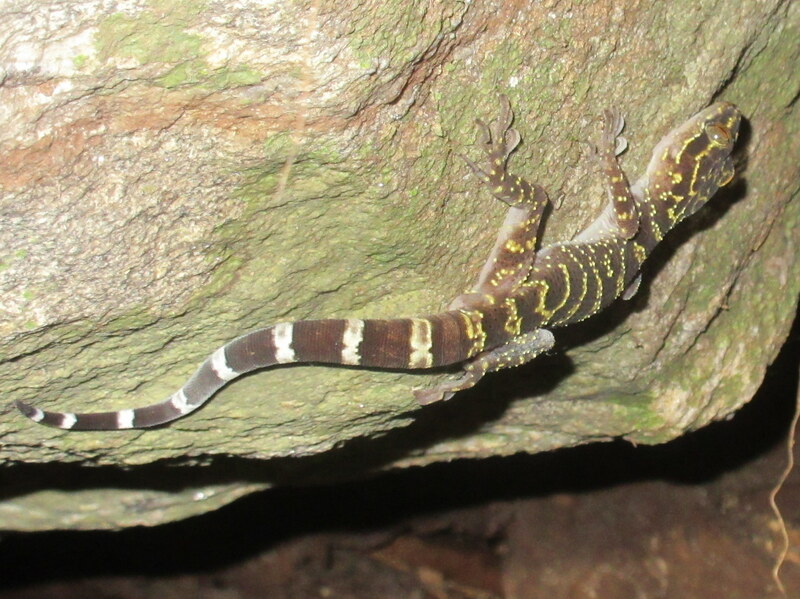 Snout to base of tail is up to 6.9 cm. 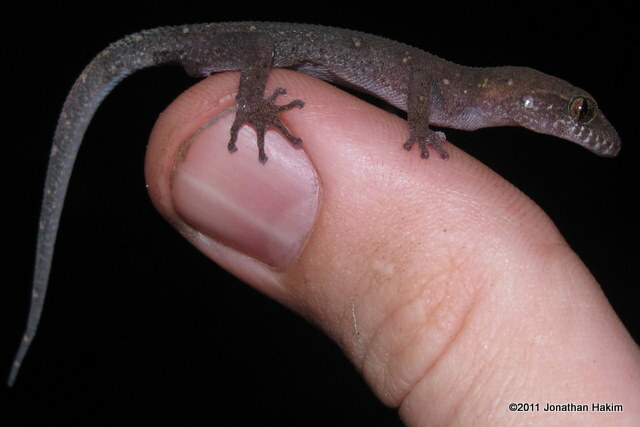 An average-to-robust gecko of average length. A noticeable fringe of skin runs along the side of the body. Body coloration is variable, but is most often light grey with dark grey or brown markings. They appear much paler and relatively patternless at night. Both dark and light lines pass through the eye in marked individuals. 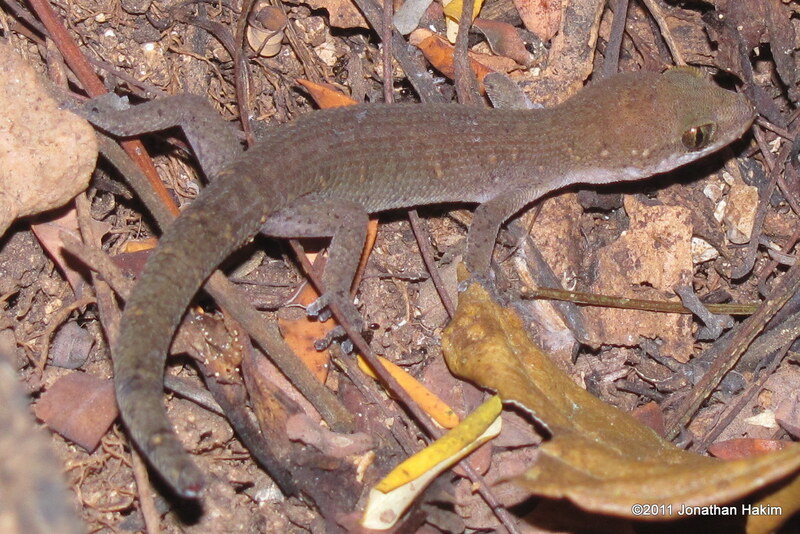 The tail is very broad and flat, leading to the common name. Tail can be banded, especially in juveniles, and sometimes has a faint rusty fringe. 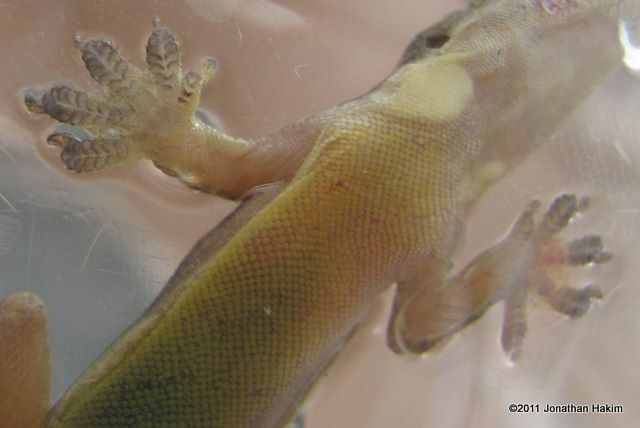 Toes have the characteristic lamellae of house geckos on the underside. Underbelly is usually yellowish. 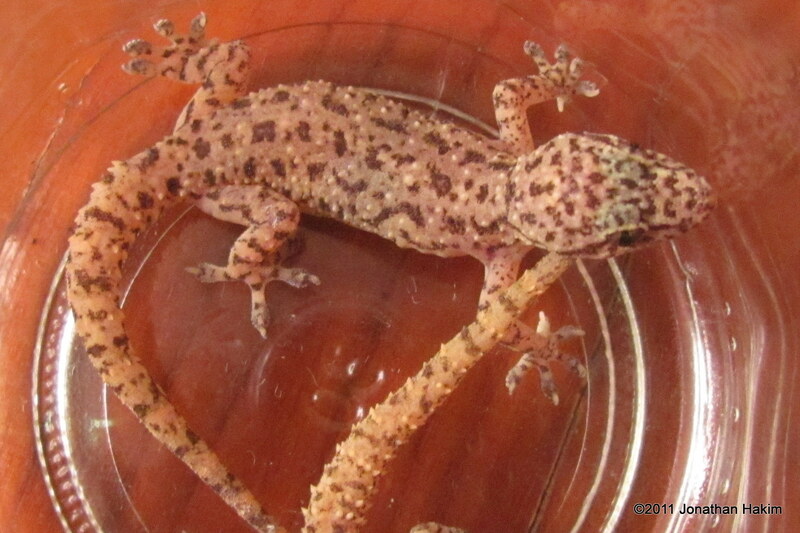 Similar Species: Spiny-tailed House Gecko has rounder tail with spines and lacks a yellowish underside. 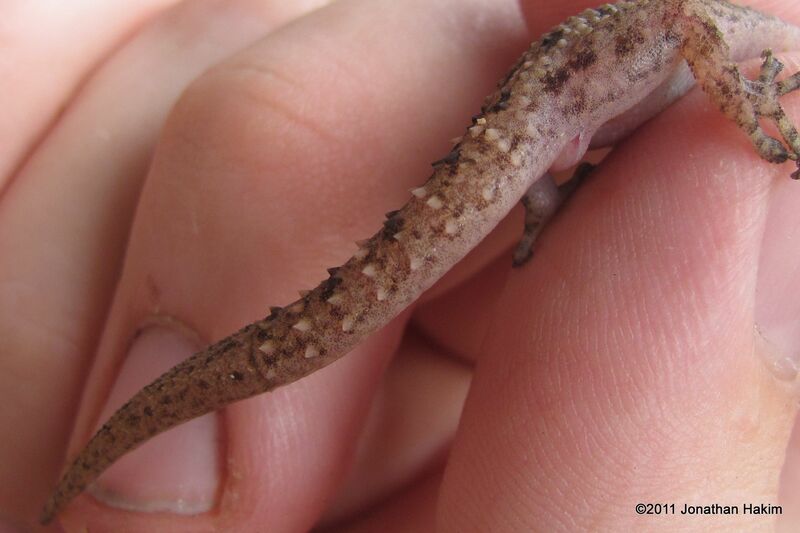 Stump-toed Gecko has a rounder tail and broader toes. Habitat: Naturally found in forests, but is extremely common in human habitations. Can be found in hotels, restaurants, houses, construction sites, empty lots, rest stops, and resorts. 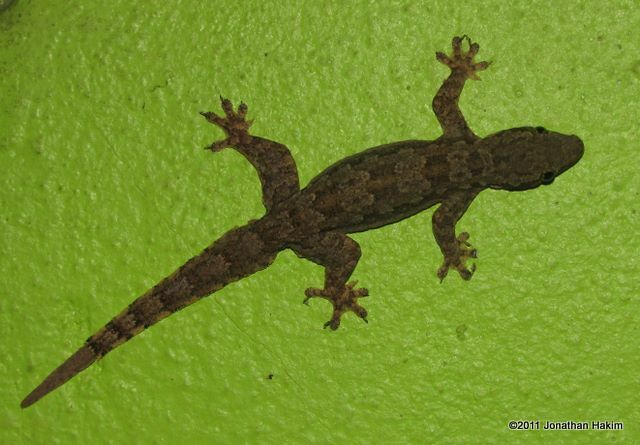 Is usually the most common gecko species on the inside of buildings. 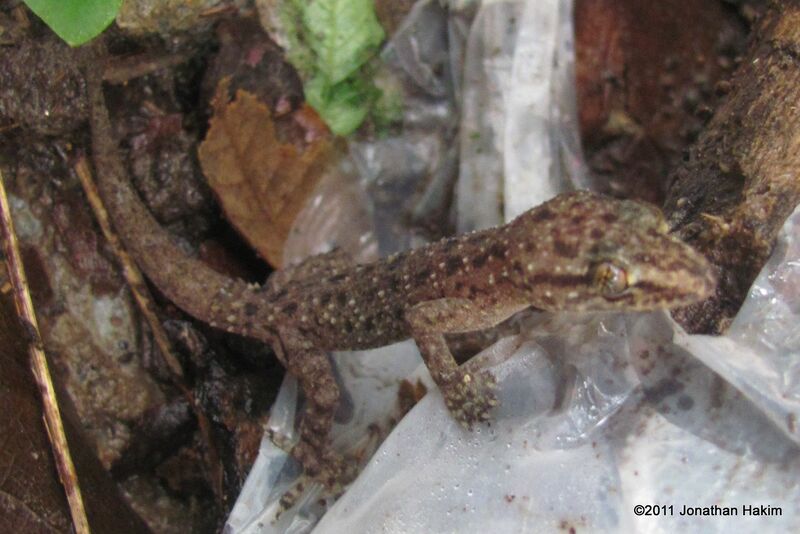 Is rarely found under ground cover at night, preferring to hide in trees, behind walls and in roofs. Usually active at night, but will often be seen hunting during the day when indoors. At night they can most easily be found near artificial lighting, where they hunt the insects attracted to the lights. Contribution to the ecosystem: Helps control insect and spider populations. 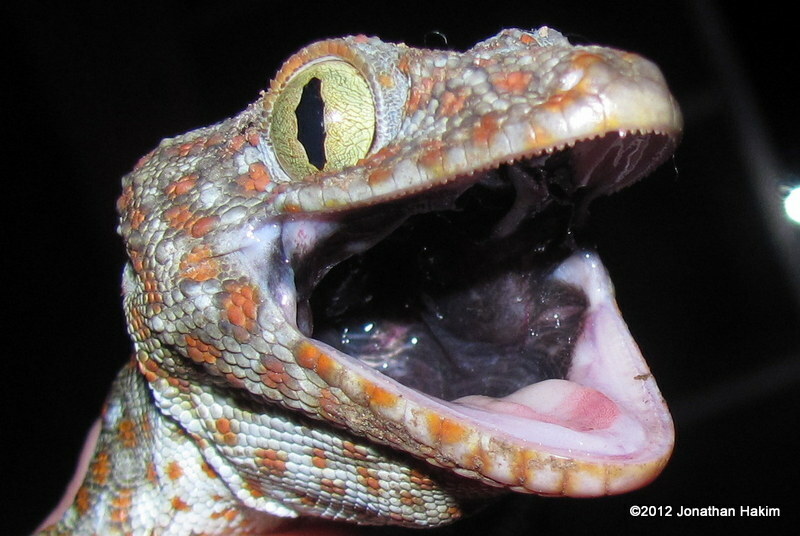 Provides food for snakes and Tokay Geckos. 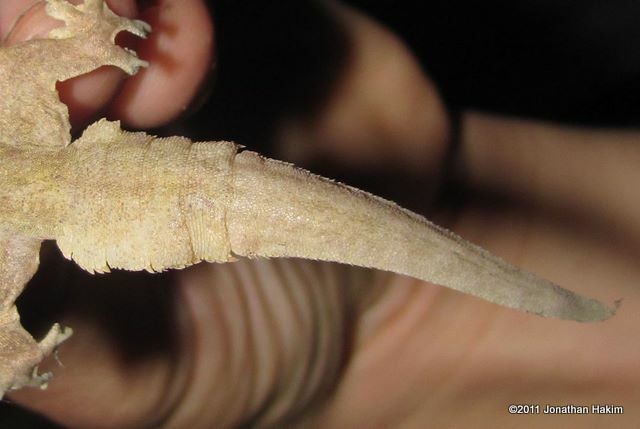 Interesting facts: Like all house geckos, the Flat-tailed House Gecko has distinctive lamellae. 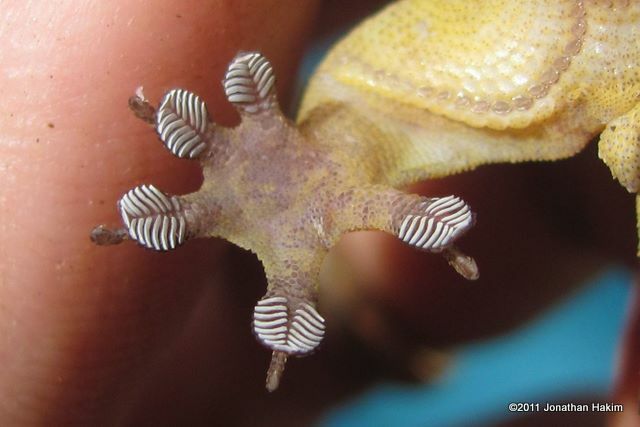 These “lamellae” are thin plates of skin that line up on the underside of the gecko’s toes. 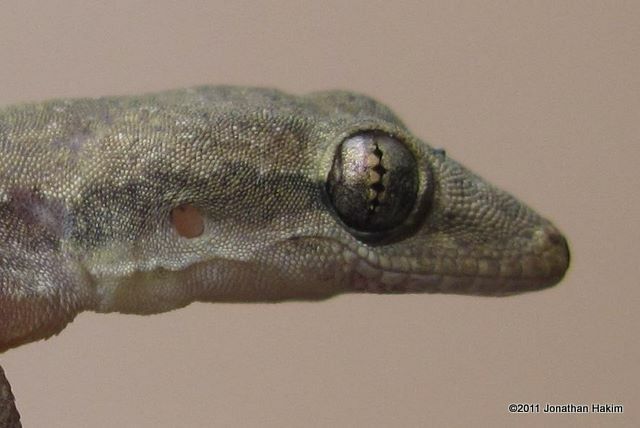 The lamellae are covered with incredibly tiny hairs, providing the surface area that allows geckos to cling to vertical surfaces, even ones as smooth as painted walls or glass. Description: To 14 cm long. Snout to base of tail is up to 6.7 cm. 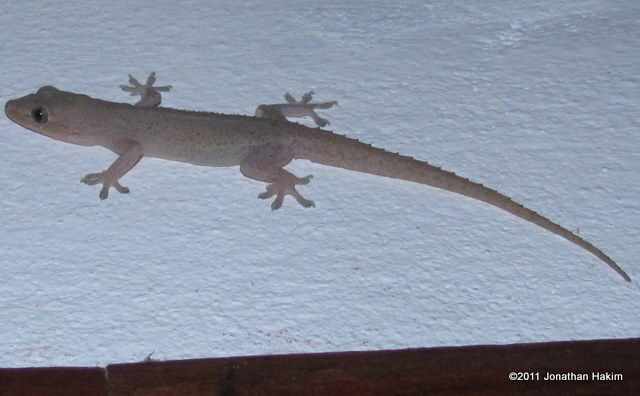 A gecko of average length and girth. Body is usually grey to brown, sometimes with dark markings. 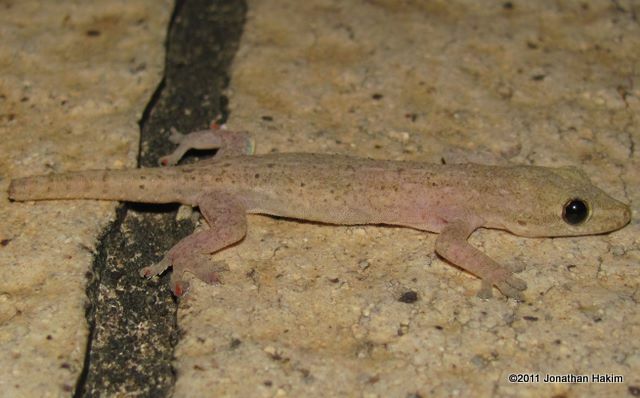 At night they can appear a very pale, almost white color. The head has a light line that originates at the nose and passes through the eye, most prominent in darker individuals. Tail has rings of small spines (longest on the sides) which give it its common name. 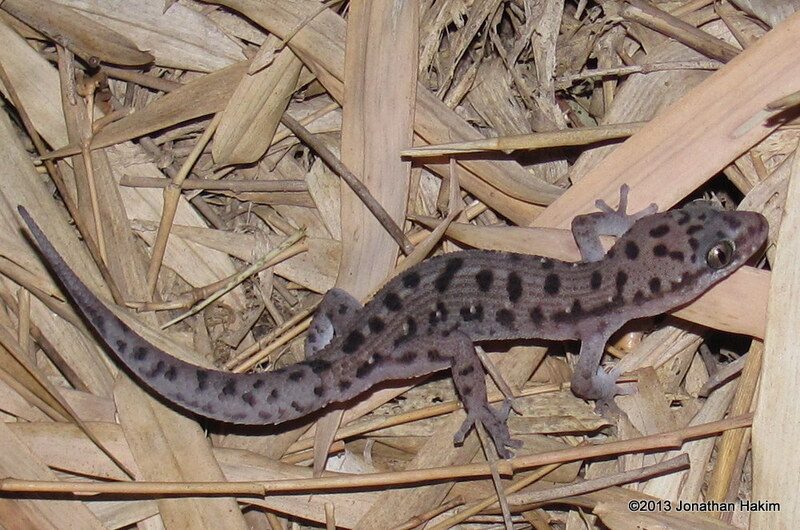 Individuals that have lost and regrown their tails may have most or all of the spines missing. 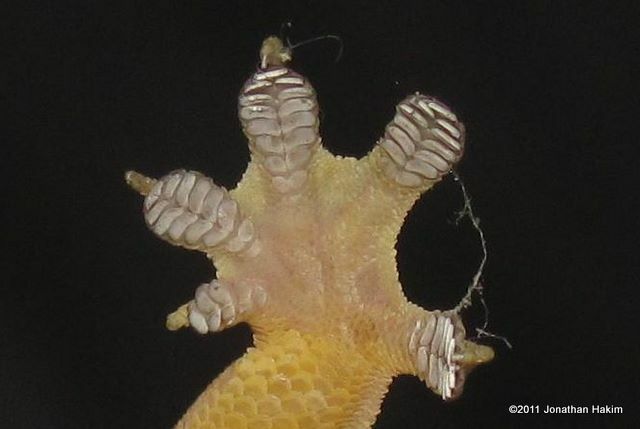 Toes have the characteristic lamellae of house geckos on the underside. Underbelly is cream. 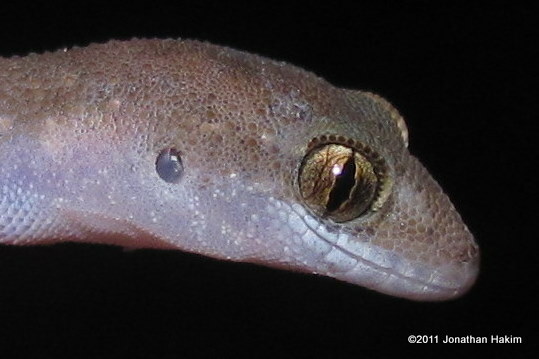 Similar Species: Siamese Leaf-toed Gecko has tubercles on the sides, and longer, more slender toes that lack the lamellae on the undersides. 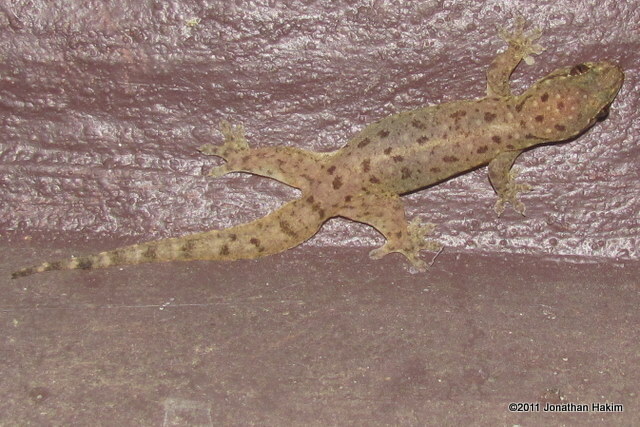 Sri Lankan House Gecko has more regular dark markings on back. 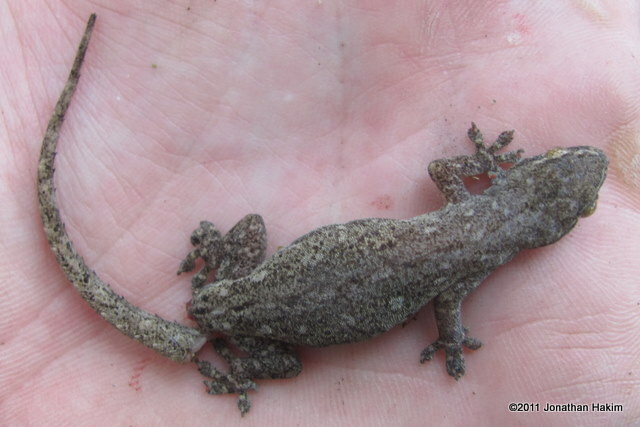 Flat-tailed House Gecko has flatter tail with no spines and often has a yellowish underside. Habitat: Naturally found in a wide range of habitats from savanna to rainforest, but now is primarily known by its association with humans. Is common around hotels, houses, in empty lots, rest stops, and resorts. Can be found in hollow trees and bark and under boards and other cover during the day, and is active on trees and walls at night. 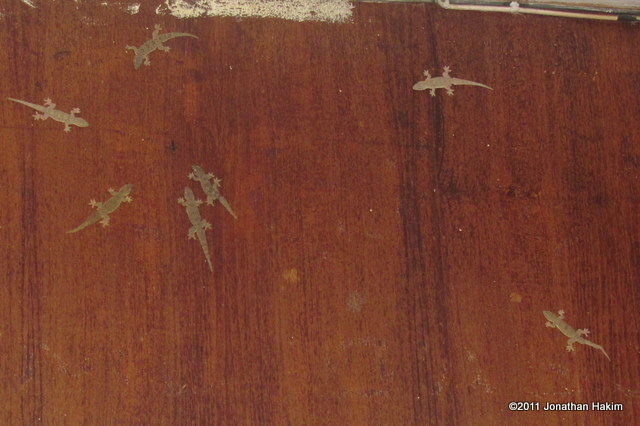 At night they can most easily be found near artificial lighting, where they hunt the insects attracted to the lights. Conservation status and threats: Is common and widespread. No known conservation threats. Its affinity to human habitations has caused it to be introduced to many sites across the world. 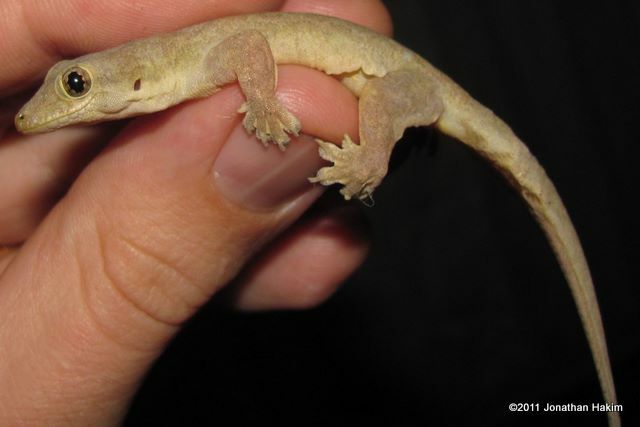 Interesting facts: Geckos, like most species of lizards, have the ability to lose their tail when threatened. In some species the tail does not need to be bit or pulled off, but will actually just drop off with minor provocation. 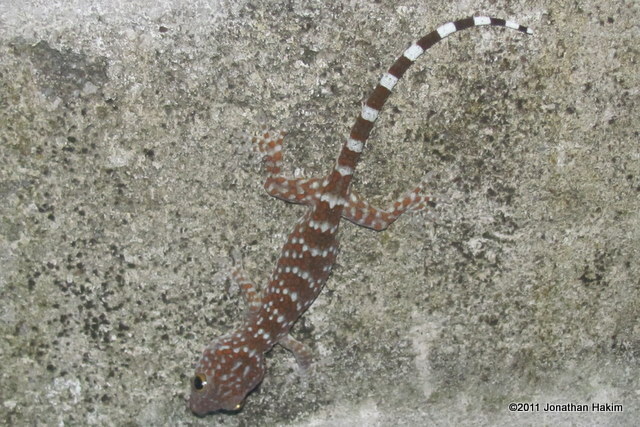 Over time the tail will grow back, often with different texture and markings than the original tail. 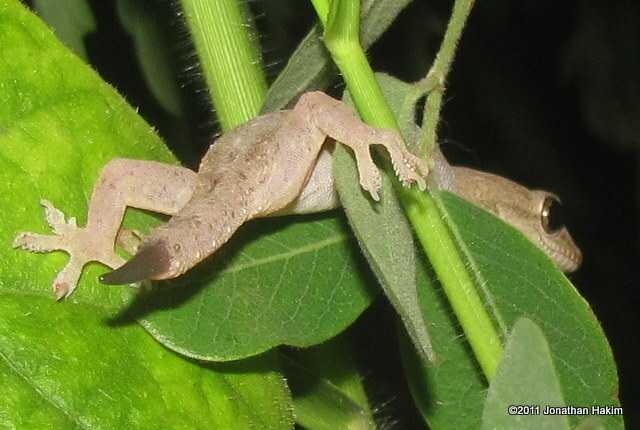 Causing a lizard to lose its tail puts it at a disadvantage because it takes energy to regrow the new tail, and it lacks that defense mechanism against predators until the tail is regrown. 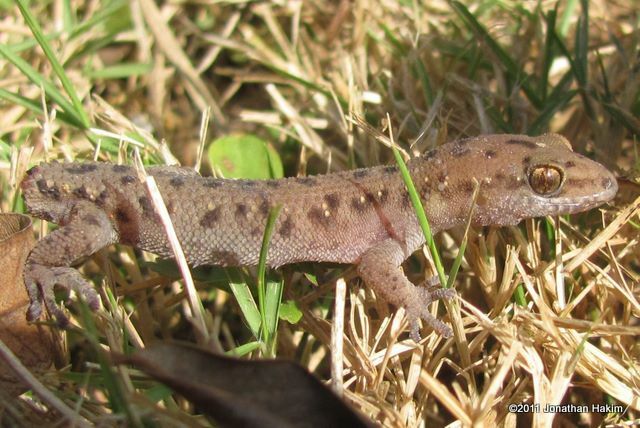 Avoid grabbing geckos, skinks, and other lizard species with sensitive tails to help ensure that their chances for survival stay as high as possible. 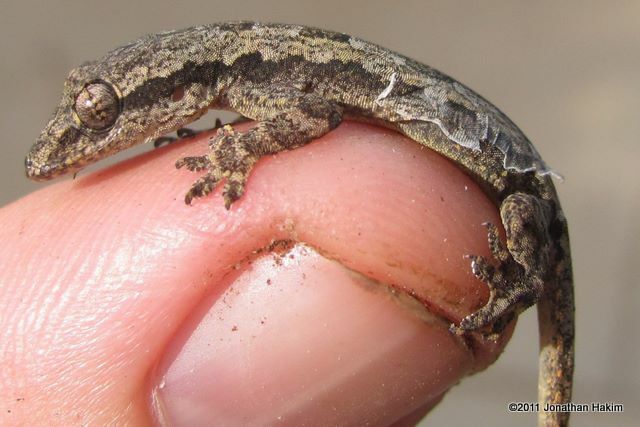 The Spiny-tailed House Gecko is one of the most familiar gecko species across the world. It is native to southeast Asia, but will often hide in luggage, shipping containers, and in lumber and botanical shipments, causing it to end up across the world. 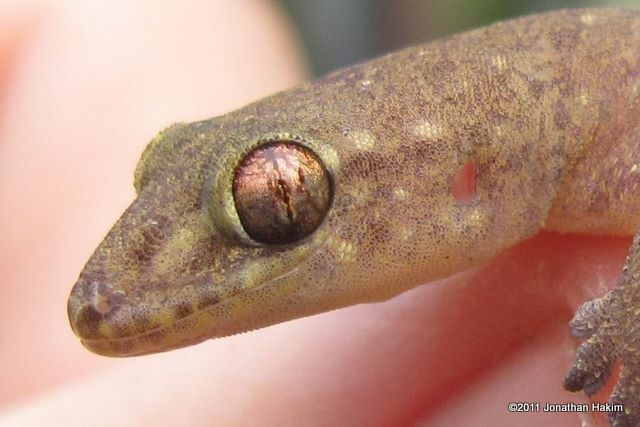 Outside of Southeast Asia I have found the geckos in India, Singapore, the Philippines, Hawaii, Mexico, and Belize, and they are also known from South America, the southeastern United States, Africa, New Guinea and Australia. 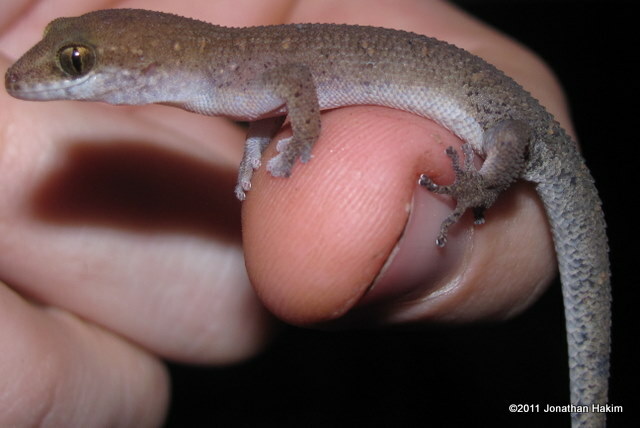 As long as they stick close to human habitations these introductions are not an issue, but if they move into native environments then there are worries that the geckos could disrupt insect populations as well as outcompete native lizard species. Description: To 40 cm long. Snout to base of tail is up to 18.5 cm. A huge gecko with a robust body. Grey to bluish-grey with bright red or orange spots. Most individuals also have pale to light blue spots, which sometimes can join together to form bands. Scales are granular, giving the skin a rough appearance, and tubercles form lines going down the body. Head is very broad and powerful. Tail is banded light and dark, vividly so in juveniles but fading in adults. 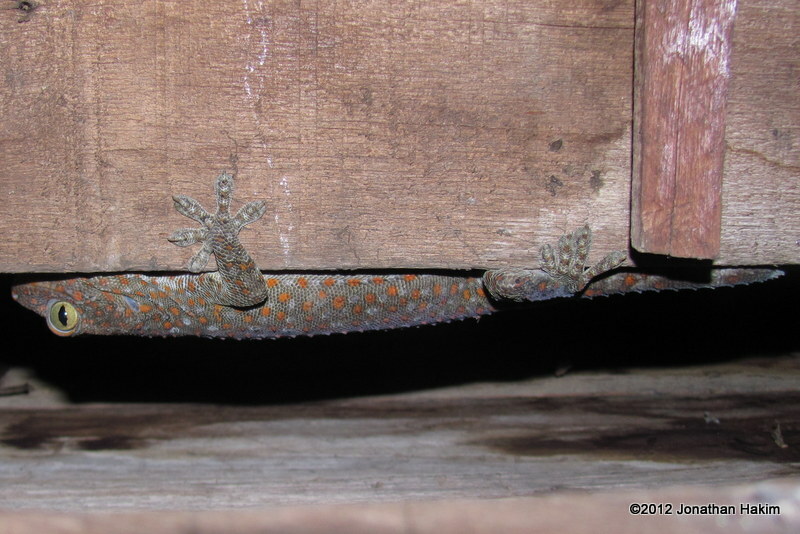 Similar Species: The large size and bright colors of the Tokay Gecko make it unmistakable in our area. Habitat: Found in forests, parks, and near homes. Despite its large size it can be seen and heard throughout Bangkok. Is strictly arboreal, hiding in hollow trees and roofs during the day before becoming active on trees and walls at night. 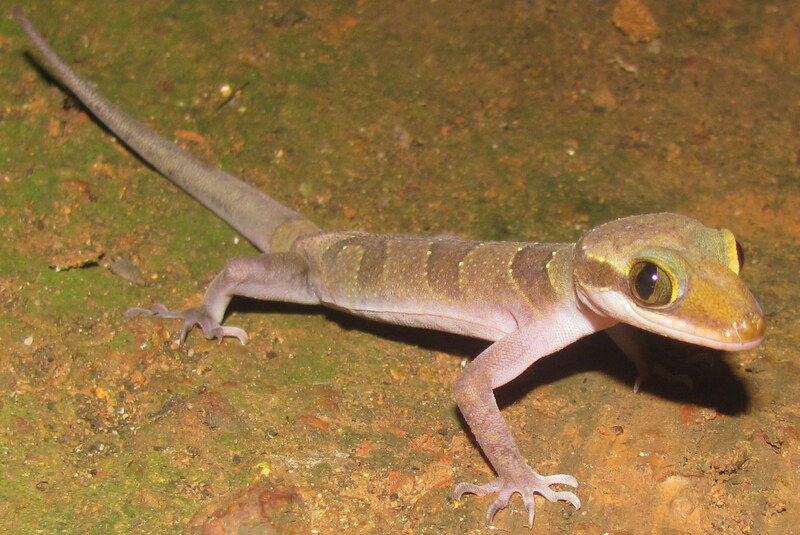 Contribution to the ecosystem: Helps control insect populations as well as the populations of smaller geckos. Will also eat rodents and small snakes. Provides food for large snakes. Danger to humans: Is large and strong enough to inflict a nasty bite, and should not be handled. Cannot do any real damage other than skin lacerations. Conservation status and threats: This species is often collected for the pet trade and for use in Chinese medicine, and as a result its numbers have dropped in some areas. However, it is widespread and adapts well to human habitation, so there are no known large-scale conservation issues. Is listed as Endangered in China. 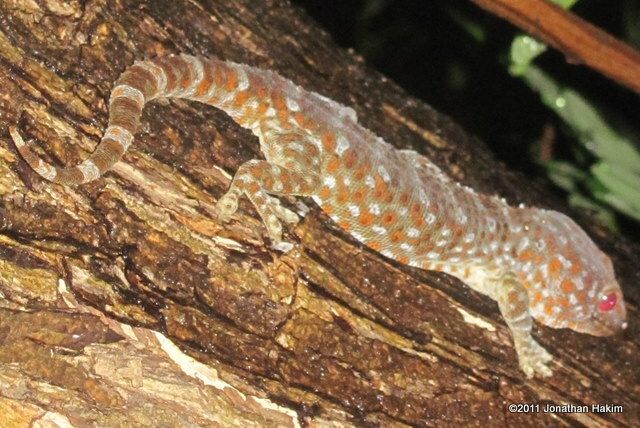 The Tokay Gecko has been introduced to several locations in the Americas, including Florida and Belize. 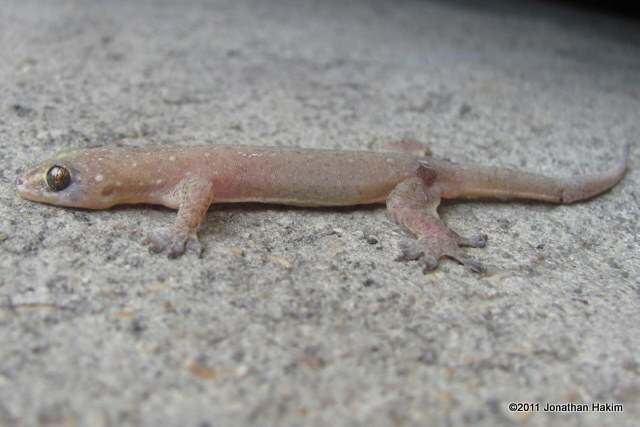 Its large size and aggressive nature have led to concerns that it may be threatening local lizard populations. Interesting facts: The Tokay Gecko gets its name from the recognizable “TOHK – AY” sound it makes from late afternoon through the night. 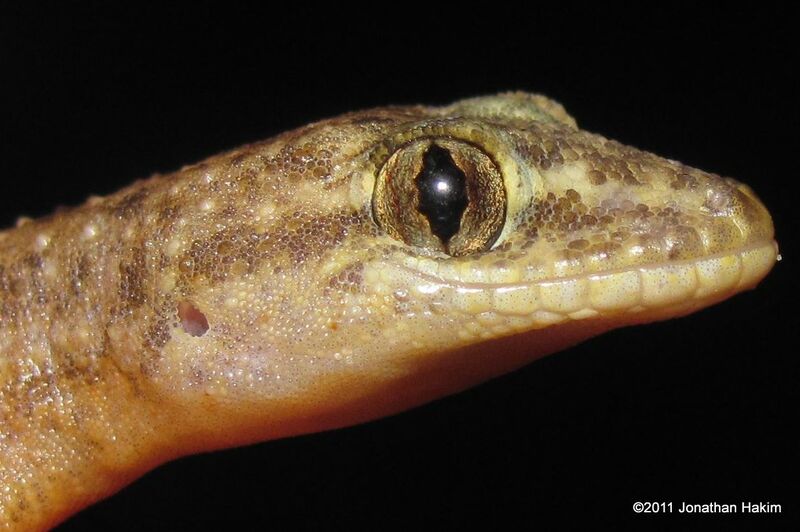 In several parts of the city I have been unable to find the geckos due to their secretiveness and the heights they prefer, but can still hear their calls. The Tokay Gecko is one of the largest species of gecko in the world, and its size sets it apart from other local geckos in a number of ways. 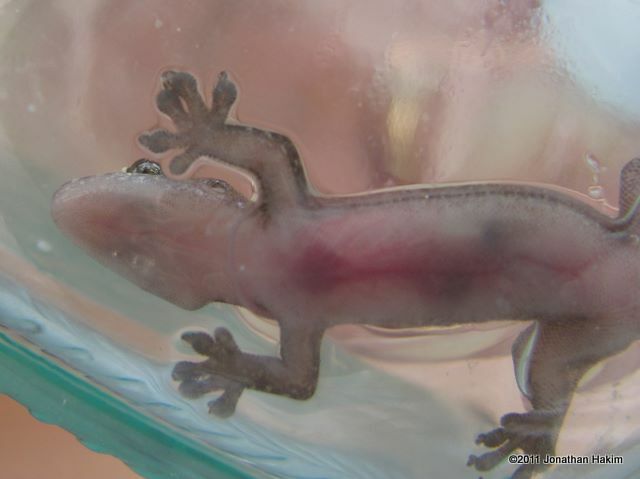 It is the only gecko species in Bangkok to take vertebrates as prey, including young rodents, small snakes, and smaller species of gecko. 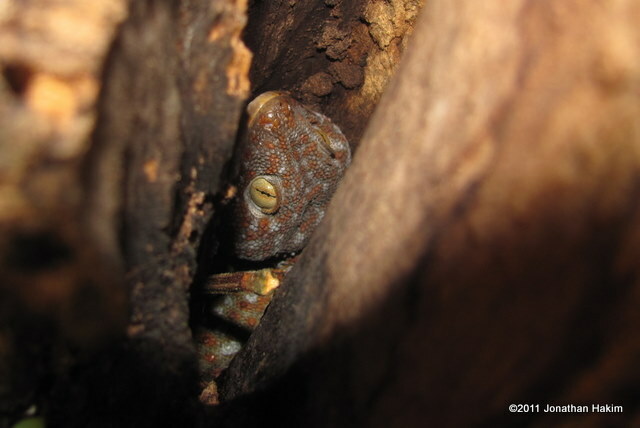 While other geckos have many predators, the Tokay only has to worry about the larger snakes. 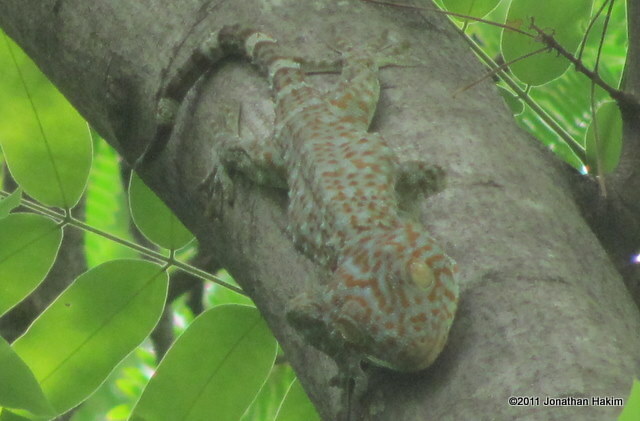 And though the smaller geckos move quite quickly, a large Tokay Gecko can be amusing with its hefty “waddle” as it makes its way across a wall or tree branch. Description: To 12.5 cm long. Snout to base of tail is up to 6.4 cm. 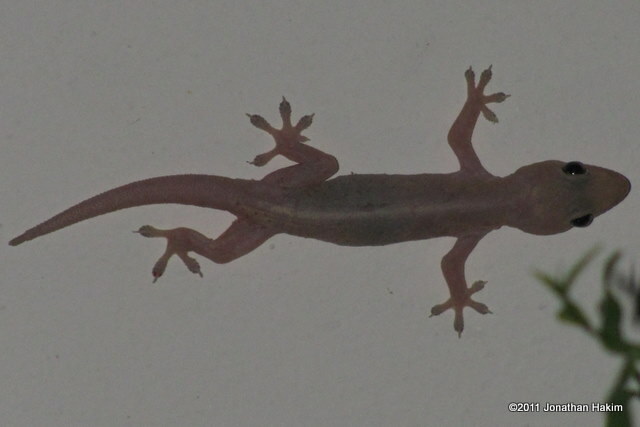 A gecko of average length and girth with very soft skin. Skin appears nearly translucent and color can vary from pink to pinkish-grey to yellowish-tan. Younger individuals may have dark markings, but adults are usually patternless other than some small light dots. Some individuals have a pale line down the center of the back. The head often has a line of white or yellow dots coming back from the eye. The toes are short and wide with prominent lamellae. 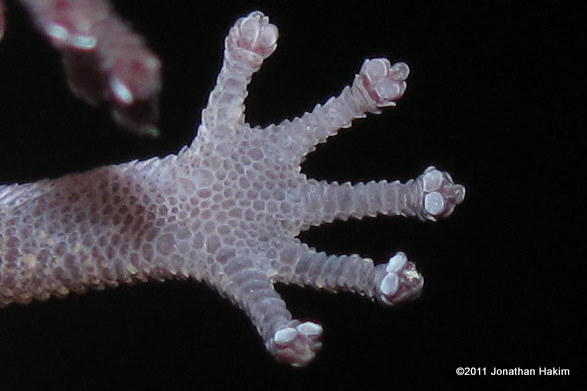 Only four of the toes are clawed, leading to one common name. Underbelly is translucent whitish-pink. 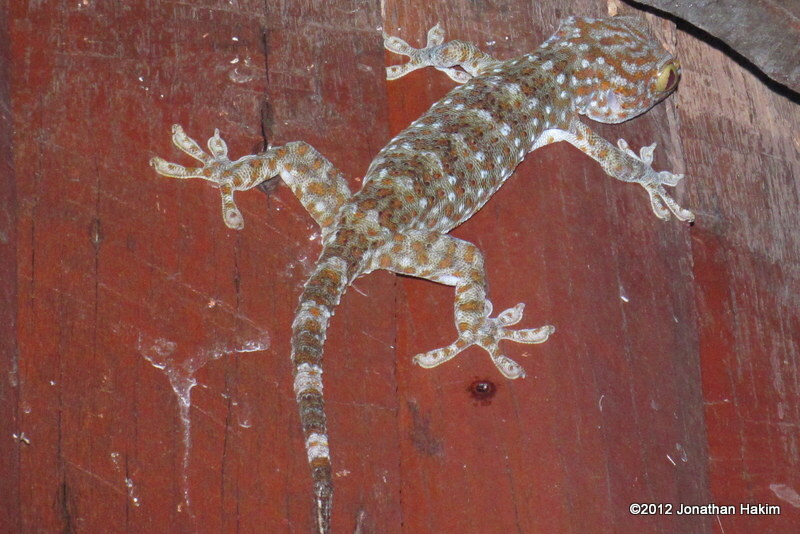 Similar Species: Sri Lankan House Gecko has spines on tail and more regular dark markings on back. 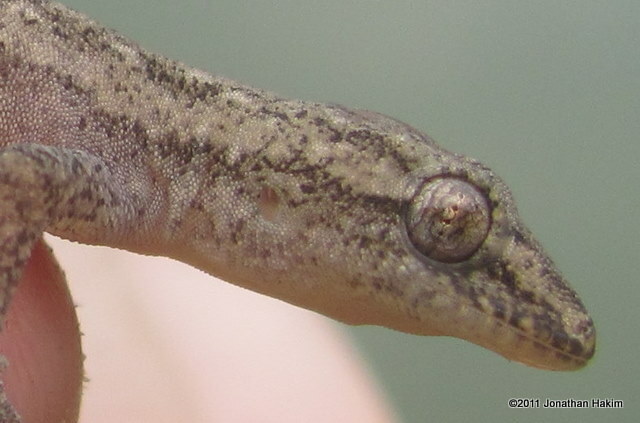 Siamese Leaf-toed Gecko has tubercles on the sides, and longer, more slender toes that lack the lamellae on the undersides. 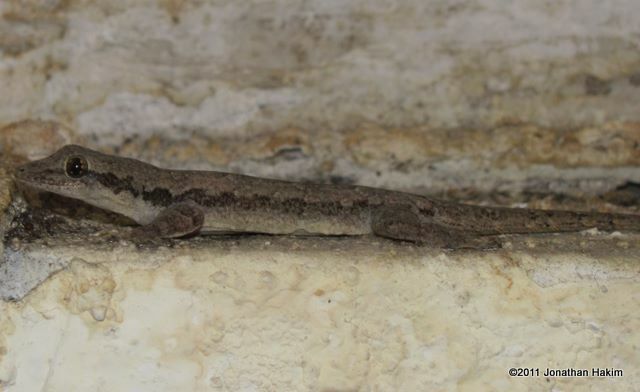 Flat-tailed House Gecko has flatter tail and often has a yellowish underside. 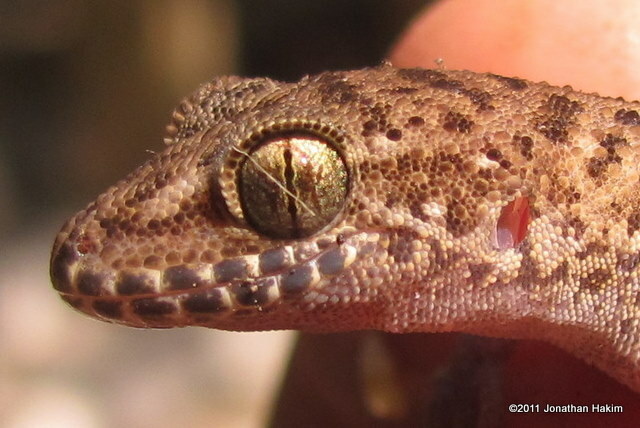 Spiny-tailed House Gecko has spines on its tail and lacks the light dots behind the eye. Habitat: Naturally found in forests, but has adapted well to human encroachment and can be found in parks, empty lots, and around houses. Can be found in hollow trees and under boards and other cover during the day, and is active on trees and walls at night. Contribution to the ecosystem: Helps control insect populations. Has also been known to eat fruit juice and nectar. 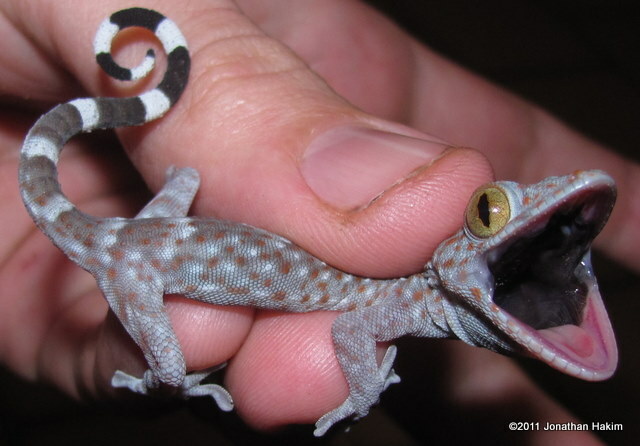 Provides food for snakes and Tokay Geckos. 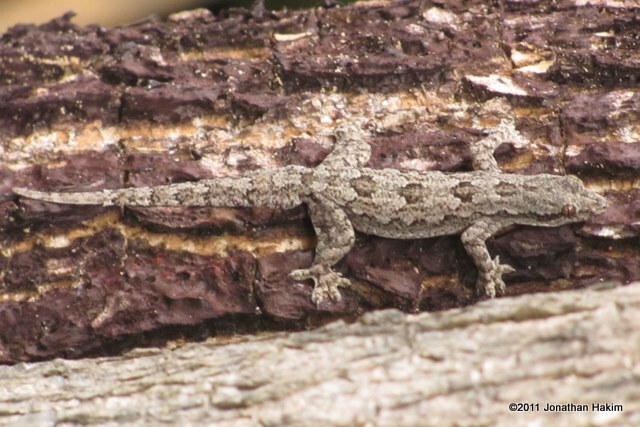 The Stump-toed Gecko is an invasive species in several areas, including Hawaii and Mexico. 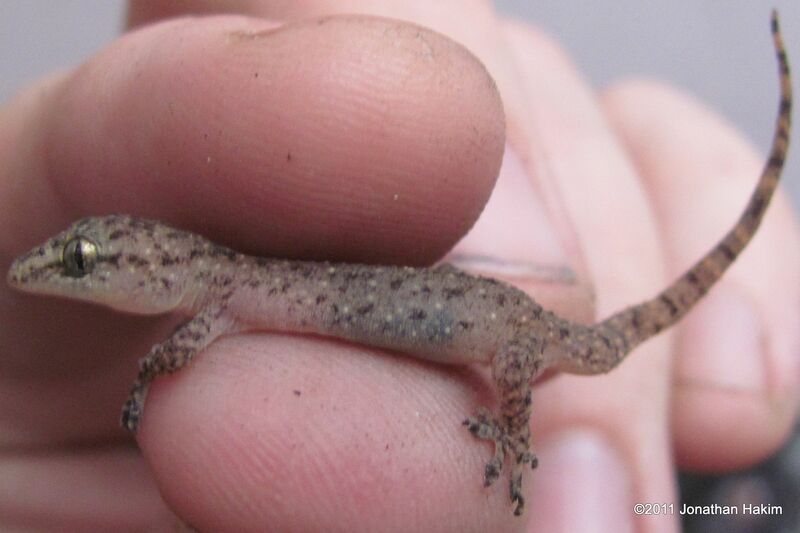 Interesting facts: The Stump-toed Gecko has extremely delicate skin that can easily be rubbed off. It should not be handled if possible. In general, it is much healthier for reptiles if you merely observe and photograph them, rather than capturing them, as they are susceptible to injury and stress when being handled. Description: To 12 cm long. 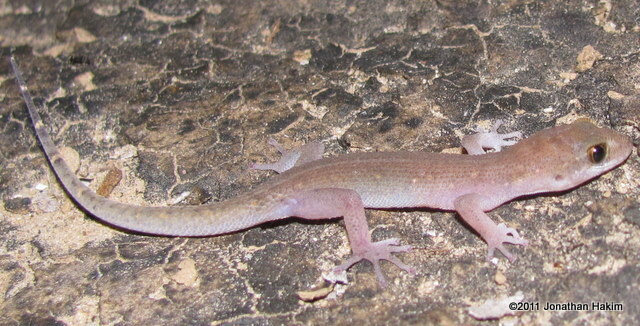 Snout to base of tail is up to 5.7 cm. 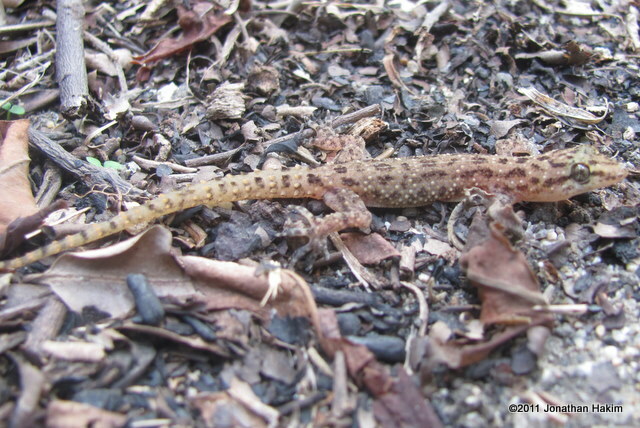 A slender-bodied, long-legged gecko. Small tubercles are on each side of the body. Varies in color from lavender-brown to brown to grey, with pale yellow dots and irregular dark markings on the sides. Some individuals are patternless. Head often has dark markings. 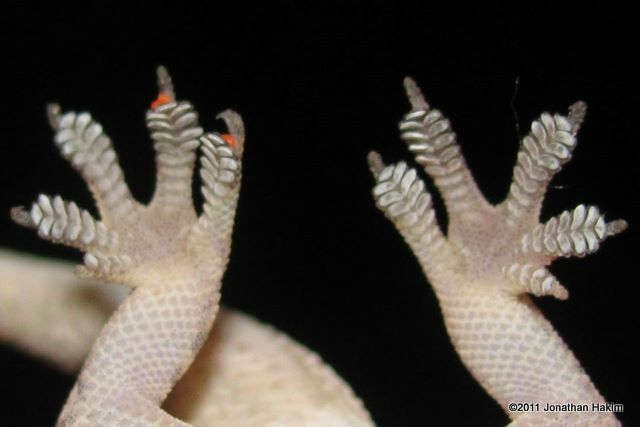 Toes are slender and lack the characteristic lamellae of house geckos underneath, instead having paired toepads at the end. Underbelly is white to dull yellow. 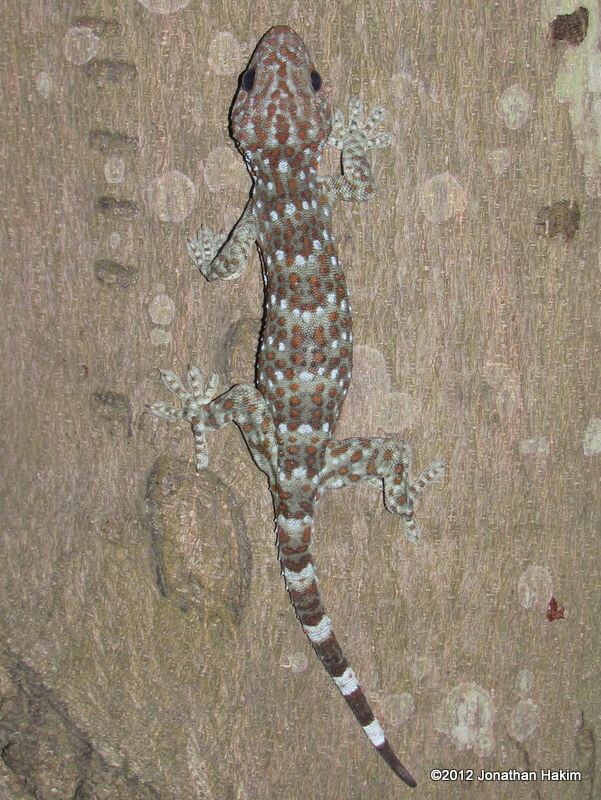 Similar Species: Sri Lankan House Gecko has spines on tail, characteristic lamellae under toes, and more regular dark markings on back. 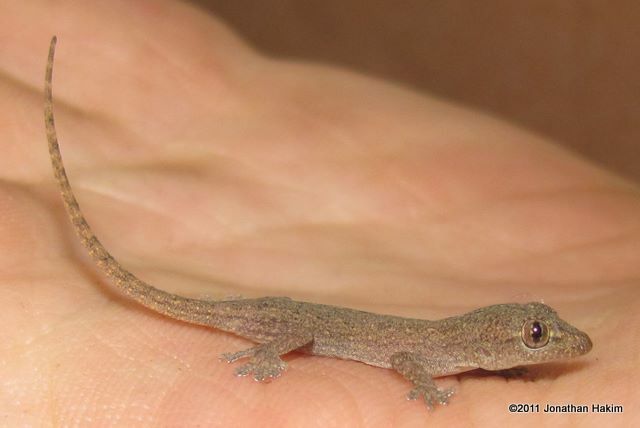 Stump-toed Gecko has short, wide toes with lamellae underneath, lacks tubercles on sides, and has much softer skin. Habitat: Usually found in forest, though can be found in yards and gardens in less-developed urban areas. 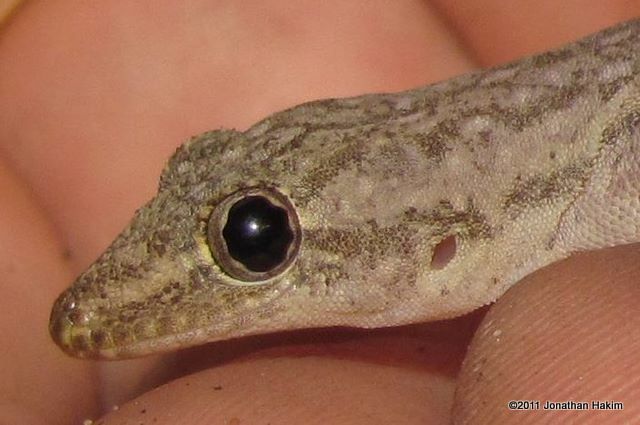 More ground-dwelling than the other geckos listed in this guide. Hunts out in the open at night, and found under all kinds of cover during the day. Contribution to the ecosystem: Helps control insect, spider, and other arthropod populations. Provides food for snakes and some nocturnal birds. Danger to humans: May bite when handled, but is not dangerous at all and not likely to even draw blood. 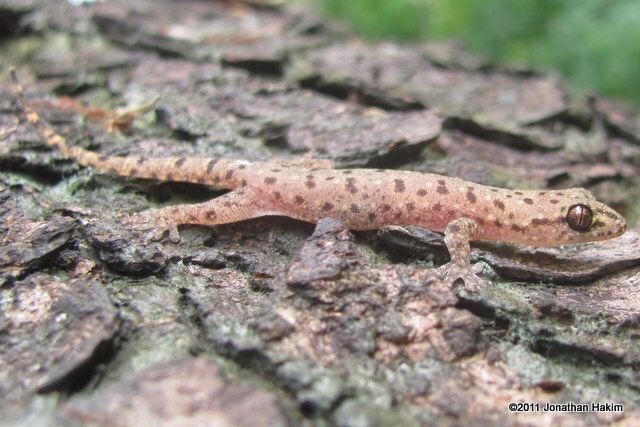 Interesting facts: While our other geckos are found above the ground in trees and buildings at night, the Siamese Leaf-toed Gecko will be found patrolling the forest floor for nocturnal arthropods. At times it may explore low tree trunks for food. 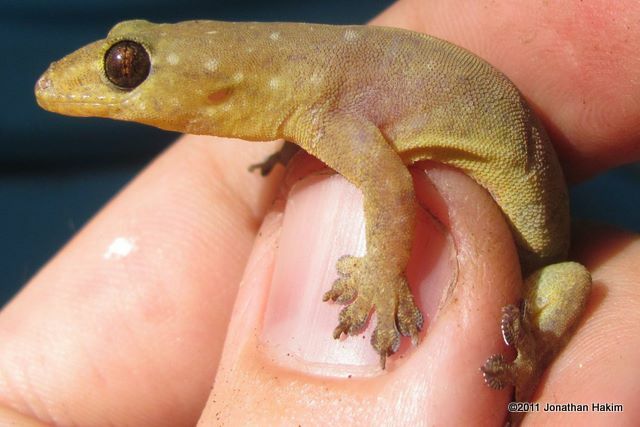 Because of its more terrestrial habits, it lacks the lamellae (rows of narrow fleshy plates) under the toe pads that allow house geckos to cling to vertical surfaces. Instead, it has long narrow toes built for running. 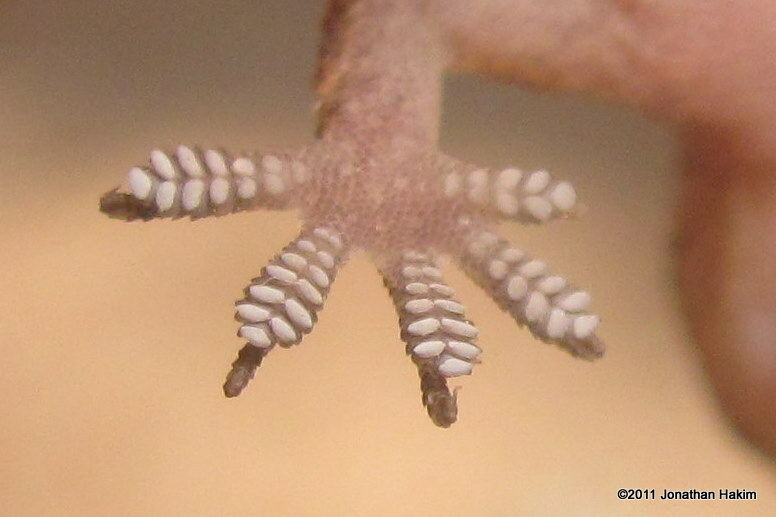 The “leaf-toed” part of the name comes from the paired toe pads on the end of each toe. 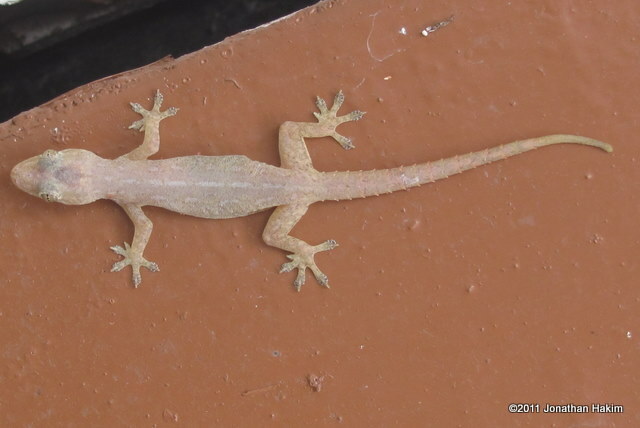 I know of no records of this gecko within or near Bangkok, but it is common in most of Thailand and some experts suspect that it can be found here as well.